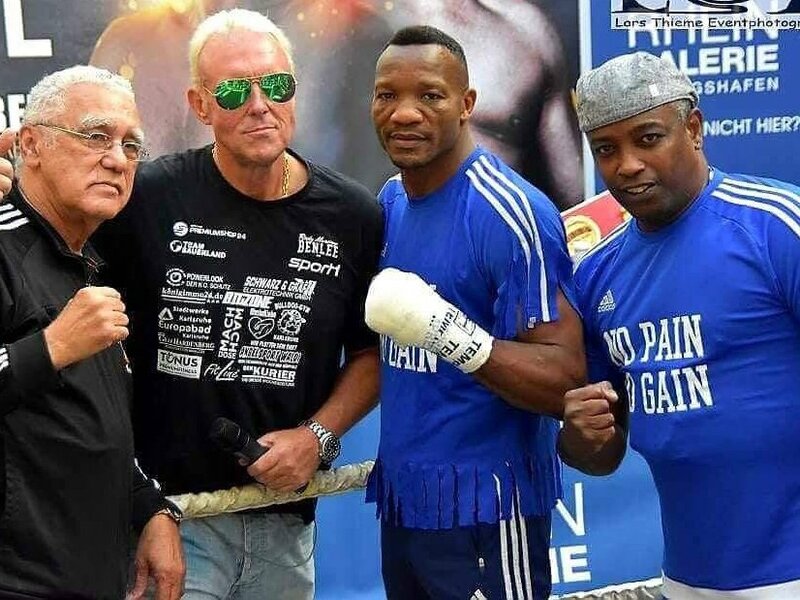 Lolenga Mock has been a prospect, a high-class sparring partner, an occasional journeyman and now finds himself on the brink of a world title shot at the age of 46. Mock (42-14-1-KO13) said: “Throughout my career I’ve had to spar everybody. Younger generations. Older generations. Everybody. Now, it’s my time. “I have to show it in the ring and I will. I have to show people who the real Lolenga Mock is. Yildirim is young but that is no problem. We’ll see who is the more hungry on the night. Half the fight is about who is more hungry. A key part of Mock’s preparations for his crucial night has been sparring sessions with young MTK Global light-heavyweight Dan Azeez, who travelled over to camp from south London. Mock said: “Dan is very talented and clearly has a big future in the game. He is fast with lots of power and fights in a similar way to Yildirim. “The sparring between us was very good and it was nice to have him in Denmark. He’s a wonderful kid and like I said, very talented. Blossoming veteran Lolenga Mock is burning with ambition ahead of facing Avni Yildirim in a WBC world super-middleweight title eliminator on Saturday night. The popular Congolese (42-14-1-KO13) is bidding to complete a remarkable story by earning a world title late in his career and travels from his base in Denmark to take on Yildirim in Ludwigshafen, Germany. Mock said: “I’m still improving even now. My skill is growing and you can see that since my comeback. I have my goal and I’ve very hungry to achieve it. I’m happy this is all happening now. “It’s been a dream of mine I’ve worked to achieve for so long. Now we have this opportunity and something real to fight for. Now I have it, I’m not going to let it go. That’s where the hunger comes from. “I’ve never had such a great chance in my whole career. My skill and determination will see me through. I’ve been a sparring partner for many but now I have my own goal and with that, nothing can stop me. “You can overcome many things in life. I have strong ambitions and when you put that in with skill, it’s a powerful thing. This is my life and my dream and I know the way. Lolenga Mock has secured a WBC world title eliminator against Avni Yidirim and will spar the world’s leading amateurs in Cuba as part of a gruelling training regime. Mock, who at 46 has defied doubters by charging to a super-middleweight ranking with 11 straight victories, will take on a man two decades his senior in Yildirim (19-1-KO11) in Germany on September 15. The Congolese, who fights out of Denmark, said: “I’m so excited. It’s always been my dream to become a world champion. I’ve thought about it my whole life and I’m looking forward to taking another step closer. “The level I have to achieve is my best ever and that’s why I’m heading to Cuba for five weeks. I don’t want to cut corners. I want the best sparring available so I can improve yet again. “One of my trainers is Cuban so we’re going over there and I’m going to spar lots of young fighters. Every day will be a challenge because they’re all fast, high quality boxers. Yildirim, who lost to Chris Eubank Jr in the World Boxing Super Series last year, claimed his WBC ranking title in March by outpointing Derek Edwards.